These custom, 3D printed insoles are easy on your feet—and your wallet. The proliferation of 3D printing has made it possible to manufacture almost anything to our exact specifications—prosthetics, braces, even action figures of ourselves. What’s more, printing materials are getting cheaper and more diversified by the day, creating unlimited possibilities for micro-manufacturers. Unfortunately, many of these items still require expensive, precise, room-sized scanners that most of us simply don’t have access to. The democratization of 3D scanning technology is inevitable, but what if you didn’t have to wait for the revolution to begin? What if we told you that you already have the perfect scanner in your pocket? A startup called Wiivv Wearables is among of the first to recruit your smartphone to moonlight as a 3D scanner. Their mission? Print the perfect insole to maximize comfort, reduce pain, and promote healthy alignment. It may sound a bit niche, but the business of orthotics is a $4.5 billion industry and growing. The magic is in Wiivv’s foot capture technology, which allows you to create a 3D model of your feet using nothing but your smartphone. Wiivv’s app guides you through the whole process, which takes just a few minutes. From there, you can customize your insole with different colors, designs, and even your name. A week later, they’ll arrive at your door. The resultant insole is made of Nylon 12 (the same material used for traditional custom insoles), and it can be slipped easily into running shoes, dress shoes, or casual shoes. At a cost of $79, it’s also significantly cheaper than traditional custom orthotics, which often range from $300 to $600 per pair. And best of all—they’re comfortable; really comfortable. 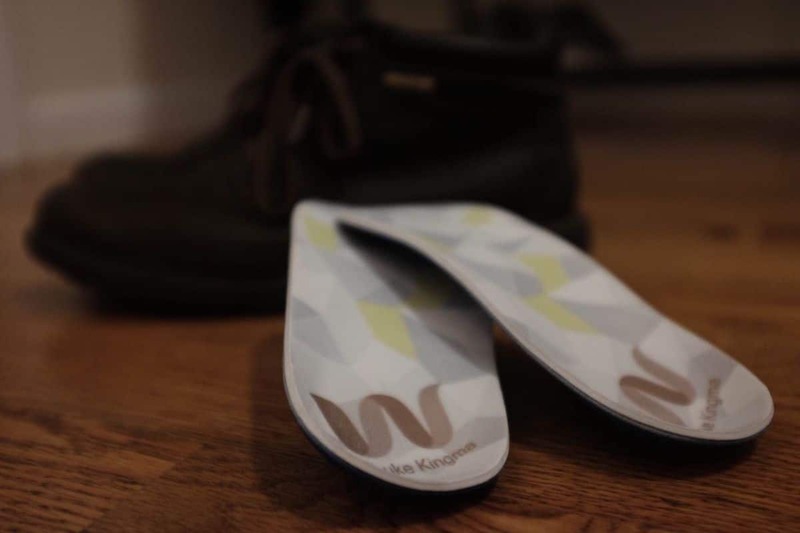 Wiivv founders Louis-Victor Jadavji and Shamil Hargovan eventually want to create body-perfect gear ranging from apparel to orthopedics, but existing technology made insoles the best place to start. They also afford Wiivv an opportunity test and optimize their proprietary system, from capturing and receiving the photographs to printing and shipping the final product. With custom insoles proven to “significantly reduce joint load of the knee and hip at 30 percent gait cycle,” according to Geoffrey Desmoulin, president of GTD Engineering, Wiivv’s insoles are another example of how modern technology is improving people’s lives. With 3D printing steadily gaining traction and moving into more mainstream applications, it will be exciting to see future applications of this simple, yet transformative technology. Disclaimer: Futurism received free products for testing purposes. The Age of Biotech: Can Bioengineered Rhino Horns Bring An End to Poaching?